The cover of the TMOQ Gazette #19 bootleg DVD. This contains a videotape transfer of the work print. The Long and Winding Road was the title of a proposed documentary by a long-time insider of the British group The Beatles, Neil Aspinall. The original concept was a documentary that was to be the first official account of the band's career, told from the perspective of the group via use of interview and archival footage. The project's beginnings date back to 1968, when the head of Apple Films, Denis O'Dell began contacting television stations, film and newsreel companies for footage of the band. That same year, the group had authorized writer Hunter Davis to write the group's official biography. The band themselves (reportedly not happy with the final book), would release their own version as a proposed documentary from The Beatles themselves. Work on the film continued into 1970. In February, The New York Times reported that as with their upcoming film Let It Be was the biographical documentary titled The Long and Winding Road. At this time, Apple Manager Neil Aspinall was in charge of the film. Working with researcher Nell Burley, Aspinall continued work on the film during 1970, eventually producing a rough workprint. 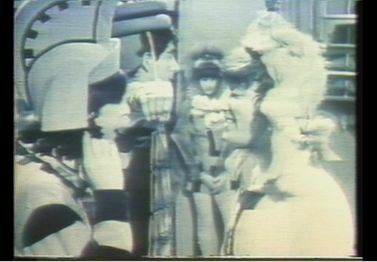 A scene from The Long and Winding Road work-print where split-screen effects are used to illustrate Beatlemania. On April 10, 1970, Paul McCartney officially announced to the press that he was leaving the group. This, however, did not stop any further work on The Long and Winding Road film. Shortly after McCartney's announcement, Apple continued to promote the film. Now stating that the documentary would be shown in the split screen format, much like the recently successful Woodstock movie, Apple said the film would be in cinemas by Christmas 1970. The October 1970 issue of Beatles Book Monthly (the group's official fan magazine), would also report that Aspinall was close to completing the film and still cited a Christmas release date. However, the film did not make the Christmas season release as it would be tangled up in the group's legal battles in late 1970. During which, McCartney had stated in court that he would have no further involvement with the project. Aspinall had no choice but to shelf the project until the band's legal issues were resolved. In 1972, Apple announced that production on the film had resumed and it was now titled: Ten Years in the Life of the Beatles. The film's production would continue through-out the 1970's. John Lennon also mentioned the film was still in production during an interview on the Today Show in 1974. The late '70s saw The Beatles enjoy a resurgence of popularity. EMI releasing new compilation albums and a live album of their Hollywood Bowl performances. When Eric Idle was producing his 1978 Beatles parody special The Rutles: All You Need Is Cash, George Harrison (a good friend of Idle's) lent a videotape copy of Aspinall's workprint to Idle for research. 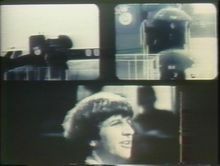 Scenes from The Rutles film included footage identical to Dezo Hoffman's 8mm movies of the group from 1963. The public would not see the Beatles version of this footage until 1980. A scene from The Long and Winding Road work-print. 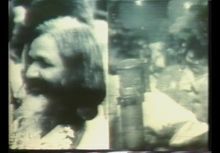 Spilled screen footage of The Beatles with the Maharishi Yogi at Bangor Station mixed with the Our World performance of "All You Need Is Love". Lennon's death brought put plans of the release of the film on hold indefinitely. It wasn't until 1992 when the project was rebooted from starch as The Beatles Anthology TV series. For decades, fans of The Beatles had longed to see any video footage from The Long and Winding Road project. In 2015, the bootleg label HMC released (via their TMOQ Gazette series) what appeared to a workprint of Neil Aspinall's documentary on DVD. 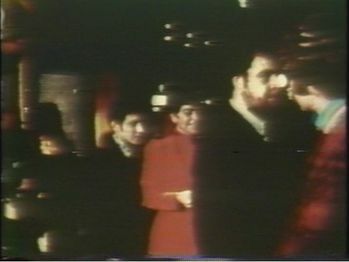 This version of the film was compiled of existing archival footage with no new interviews, no narration, but the optical spilled screen effects mentioned in interviews. Unlike The Beatles Anthology, the archival footage is not remastered or restored (since the restoration technology to do so did not exist in the 1970s). There is no opening or closing credits or titles, instead, the film opens with the opening of the Yellow Submarine (1968) movie and ends with closing credits of The Beatles' Magical Mystery Tour (1967) film as a placeholder. The workprint presented on the DVD, appeared to be sourced from a low-resolution videotape dub. 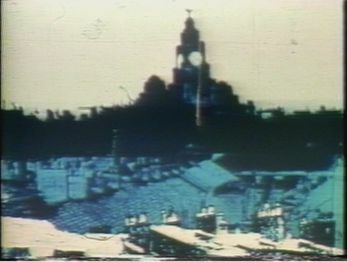 Opening shot of the film. Scene originally from the 1968 film Yellow Submarine. Splitscreen shot showing The Beatles touring years. 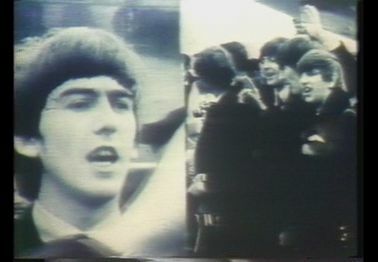 An appearance on the TV special Around The Beatles. News footage of the Apple Boutique opening. 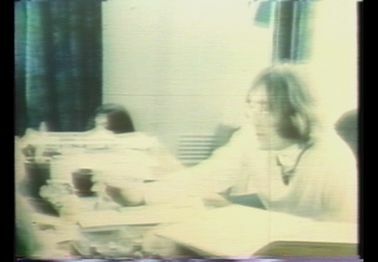 Footage of John Lennon during an interview at Apple Corps. 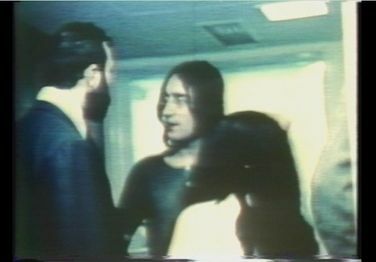 Footage from the filming of Let It Be of John Lennon and Yoko Ono at Apple Studios. This footage was not in the original Let It Be movie. 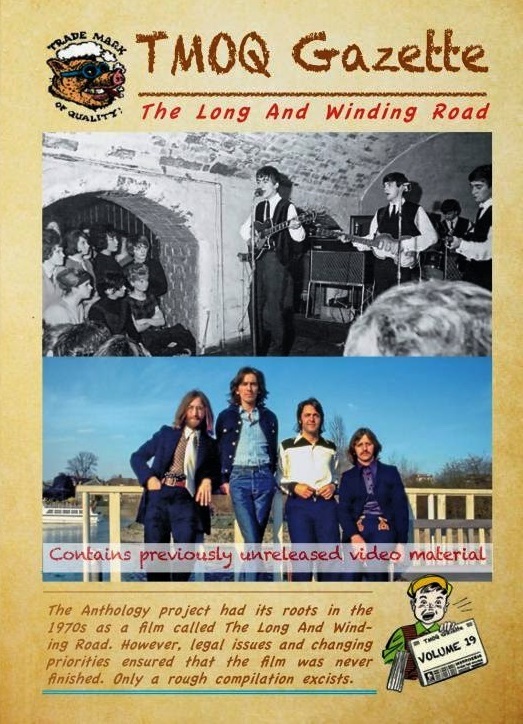 The Long and Winding road to the Anthology - a detailed account of the project's history. A documentary/detailed review of the TMOQ Gazette DVD.